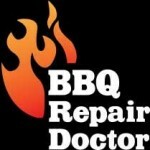 BBQ Repair Doctor is proud to perform BBQ repair in Piedmont, as well as BBQ cleaning and BBQ restoration. 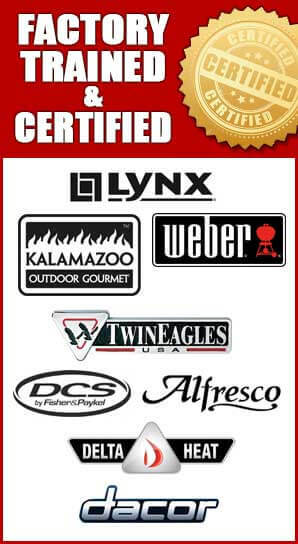 We are Piedmont’s top barbecue grill service and installation specialists. We are local experts in gas barbecue grill repair and cleaning as well as custom installation of outdoor kitchens and BBQ islands. Because Piedmont is a year-round grilling destination, we at BBQ Repair Doctor are on a mission to keep your high-end BBQ islands/outdoor kitchens in top operating condition. Call us 510-731-6480 or fill out our short online form to schedule an appointment today. Besides BBQ grill repair in Piedmont, we are also experts on all aspects of outdoor kitchen repair and cleaning in Piedmont. If any of your outdoor kitchen appliances are in need of repair or cleaning, don’t hesitate to call us. We service outdoor refrigerators, bar centers, BBQ islands, sinks, ice chests, kitchen counters, shelves, cabinets, cabinet doors and much more. Our skilled professionals can perform maintenance and repairs on wide variety of outdoor kitchens including but not limited to: Blaze, Alfresco, CalFlame, Kitchen Aid, Capital Precision etc. 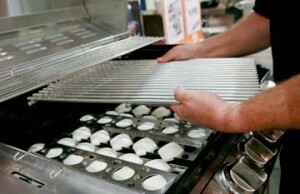 Why pick us to do your BBQ repair in Piedmont as well as other BBQ related services? When performing BBQ repair in Piedmont as well as cleaning, restoration and maintenance we take our job very seriously. 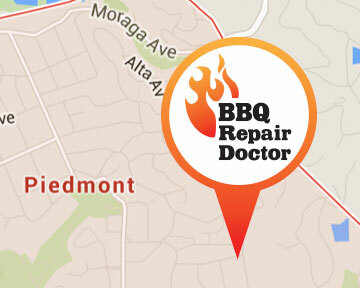 Our BBQ repair professionals have years and years of experience of working with Piedmont homeowners and business. They are always polite and knowledgeable. Your satisfaction is our goal. We use the latest technology and know how to make your backyard BBQ repair an amazing experience. We do BBQ repair in Piedmont to keep all your BBQ equipment working and looking new. If you can dream it, we can make it a reality! Call us or fill out our short online form to schedule an appointment today. 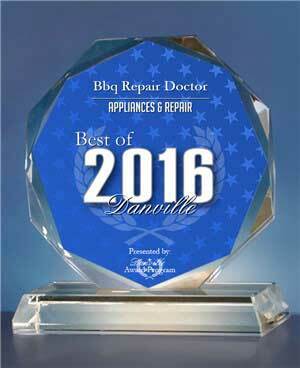 BBQ Repair Doctor always strives to go above and beyond our customer’s expectations. Our service area includes Alameda County, Alameda, Berkley, Dublin, Hayward, Livermore, Oakland, Piedmont, Pleasanton, San Leandro, Contra Costa County, Antioch, Brentwood, Clayton, Contra Costa, Concord, Danville, Discovery Bay, East Bay, Lafayette, Oakley, Orinda, Pittsburg, San Ramon, Walnut Creek, Santa Clara County, Sunnyvale.